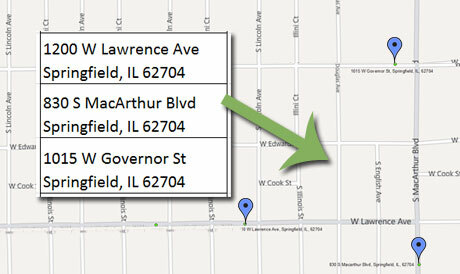 Geocoding assigns a longitude and latitude to an address, which allows you to view the location on a map. 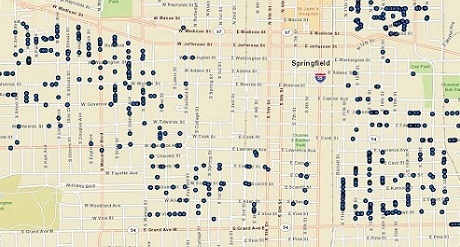 It can take days to manually locate a list of addresses on a map, with error prone results. Our geocoding service offers a fast, highly accurate, nationwide alternative to the slow manual process. Fast, accurate, and available across the United States. Custom geocoding engine using high quality NAVTEQ data. Updated quarterly with the latest geographic data. Why do I need to see our addresses on a map? 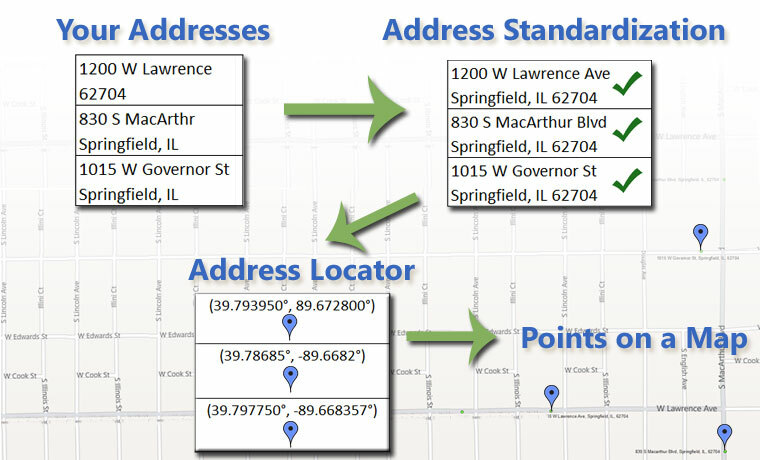 By geocoding your addresses, we are able to load them into a Geographic Information System (GIS). 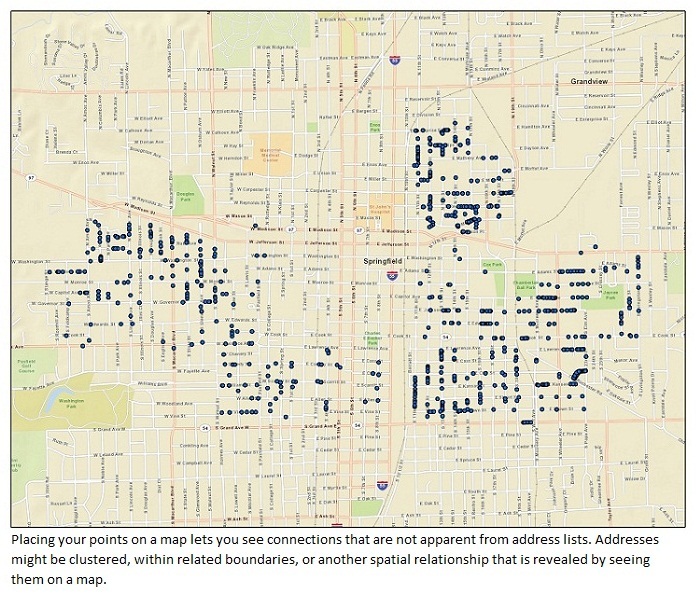 From there, we can plot the addresses on a map and append what boundaries the locations reside in. This could include public data, such as legislative boundaries or school attendance boundaries, or custom boundaries defined by you. Create maps showing your addresses. Identify boundaries the location is within. Calculate the density of points in a boundary. What is the process to geocode my records? There are a few options for getting the address list to us. 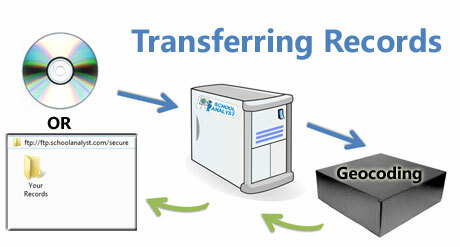 You can either email us your address list or upload it via FTP to our servers. 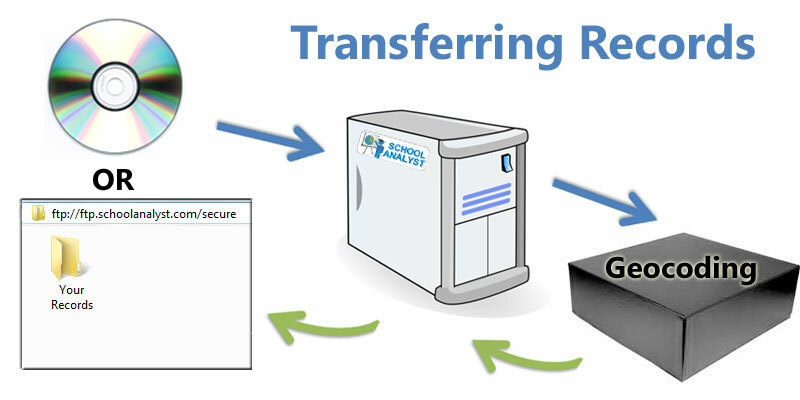 If you are looking for more options, we also offer a web service that you can integrate into your programs.